The incredible new program that has women literally smiling and dancing through labour. Currently holds over 35 Classes you can hop into 24/7 from the comfort of your own home. 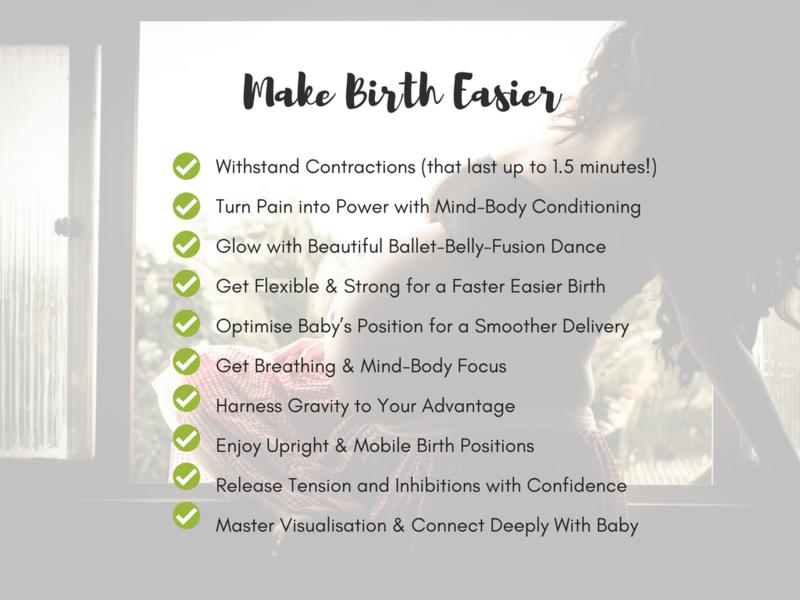 Hypnobirthing is NOT about sitting picture still and silent through your labour and birth! On the contrary, it’s about letting your body do what feels GOOD and what your instincts are telling you is RIGHT. 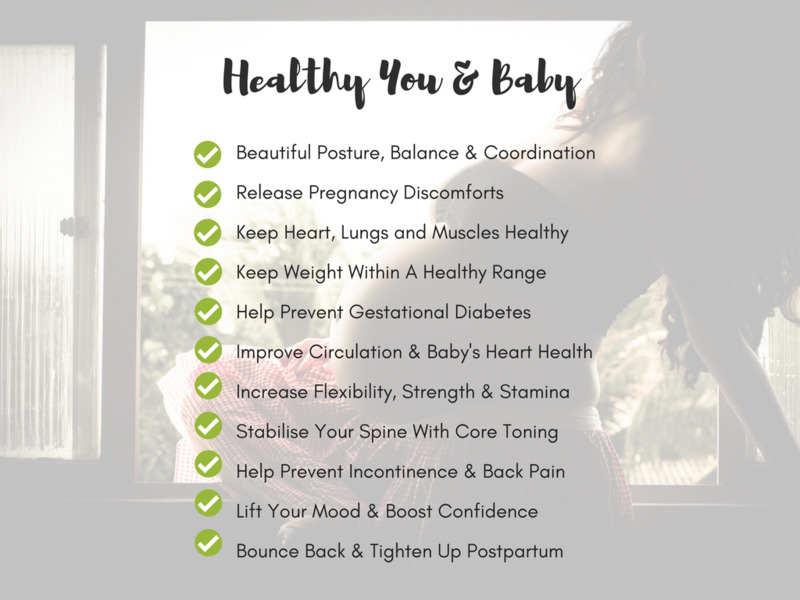 The movements we practice in Dance Away the Pain are exactly the movements your body needs to do in order to labour effectively and birth your baby with ease. Even better — it’s fun, and allows you to LOVE your new curves and connect with all your senses without shame or social inhibition. BONUS: New Mama Tell Her Inspiring Full Birth Story! Natural Drug Free Birth & Super Dad Carried Her Though Self-Doubt Phase! DMPA#10 Combat Negative Comments + Visualise in HD + DANCE What's Wrong With Being Confident? DMPA#17: Action Plan if PARTNER can't make it on time and will have to MISS THE BIRTH! DMPA#19 In a Funk? 3 Steps to get your self-belief and motivation back! DMPA#19: DOUBLE your pain threshold! DMPA#21: How will knee pain injury affect my labour? DMPA#25: When the universe punches you... punch back. DMPA#27: NEW MEDITATION: Detaching for the form to go inside and meet your baby. DMPA#30: Sing & Dance (History) to ENTICE, not force, your birth partner to get with that plan! DMPA#31: What what what Uterine Massage?